Each parent will receive an email automatically generated by the system with their personalised link. The message in the email may be customised for each service but will look similar to this tailored with your centre’s name, logo and contact details. Click the link in the email. This will direct you to SmartCentral to complete your registration. 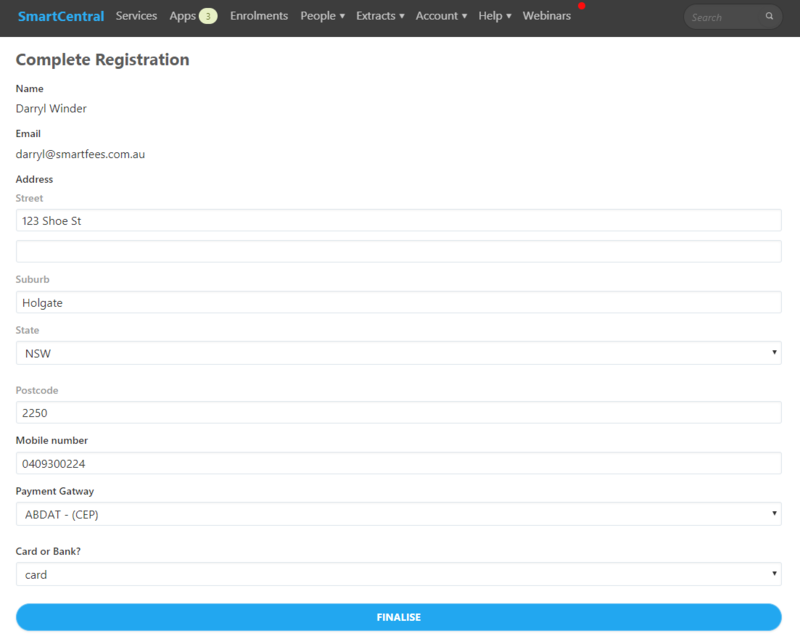 The form is prefilled with the details on file in SmartCentral. Choose Payment type - Card or Bank ? CARD : If card is chosen you will be switched to a new page once you click FINALISE to enter your card details. Complete the form and click AUTHORISE. The system will process the registration and display a confirmation message on successful completion. 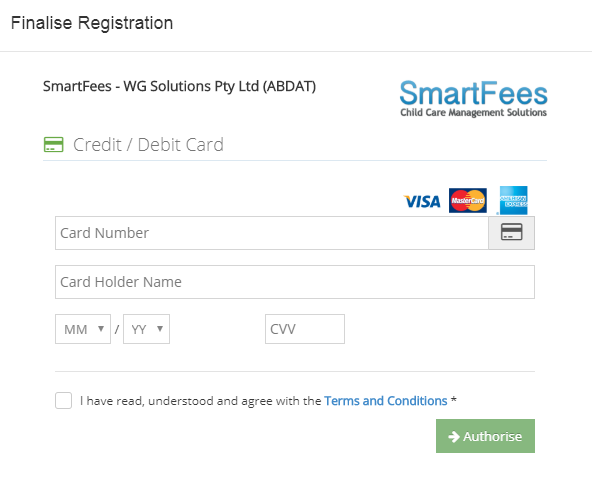 At this point you have completed registration and your payment method is active in SmartCentral.